REUTERS/Eric VidalEuropean Commission President, Luxembourg’s Jean Claude Juncker (R) and Pierre Moscovici (L), the European Commissioner for economics, taxation and customs, attend a session at the European Parliament in Brussels November 12, 2014. Juncker took political responsibility for his country’s tax practices on Wednesday, saying he would fight tax evasion with more automatic exchange of information between countries. Europe is in dire economic straits. Growth in the euro zone is stuck below 1%, unemployment is above 11% and inflation is hovering around 0.4%, far from the European Central Bank’s 2% goal and dangerously near outright deflation. This week the Paris-based OECD rich-country club warned that the euro zone was mired in stagnation, and added that it was dragging down the world economy. Even the pope has joined in, calling the European Union “elderly and haggard”. Such a situation surely calls for an urgent and decisive response. 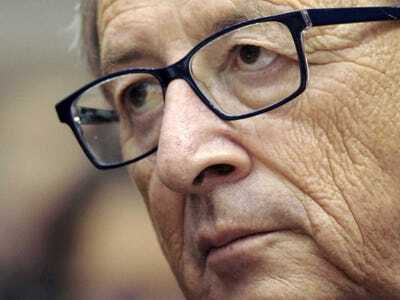 On November 26th the European Commission’s new boss, Jean-Claude Juncker, duly unveiled what he sees as the centrepiece of his presidency: a grand investment plan worth €315 billion ($US392 billion) that officials are claiming is the best way to create extra demand in Europe. Yet although Mr Juncker’s headline number sounds impressive, the sums behind it are puny. And the chances that it will kick-start growth, as Brussels is suggesting, are minimal (see article). For a start, the plan will not begin until mid-2015 at the earliest. The extra spending that it hopes to engender will then be spread over three years. Furthermore, most of Mr Juncker’s €315 billion is based on financial engineering, using public guarantees of small sums in the hope of leveraging in a lot more private capital — some of which would have been lent anyway to other projects. Even the €16 billion that is being touted as “new money” is illusory; almost all of it is being recycled from unspent bits of the EU budget. Another chunk comes from that hardy perennial, expansion of the European Investment Bank (EIB), but this institution is notoriously slow and cautious about any risky projects. The commission hopes that national governments will support its investment plan with contributions of their own. But the chances of that happening seem remote when Germany, by far the biggest and most creditworthy, is talking only of spending €10 billion on public investment over three years, and even then without relaxing its promise to balance the budget next year. 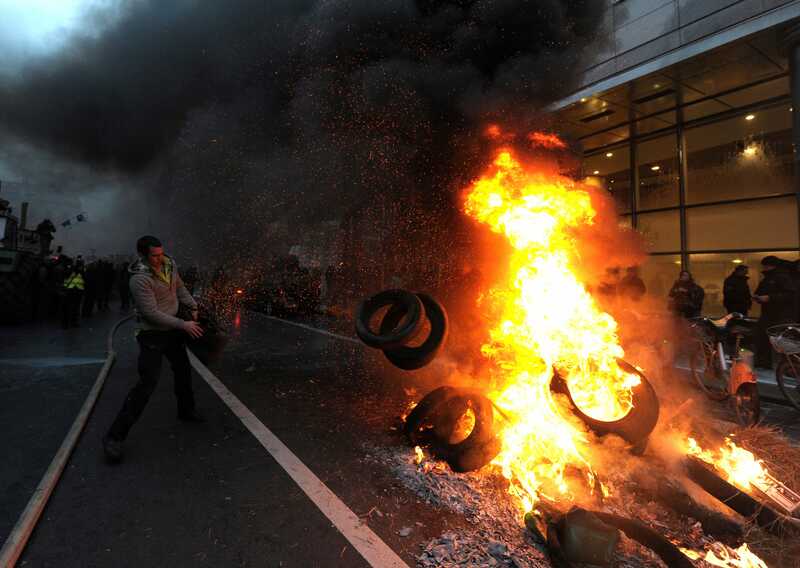 REUTERS/Laurent DubruleEuropean milk producers throw tyres into the fire in front of the European Parliament during a demonstration in Brussels November 26, 2012. Mr Juncker is not solely to blame for the timidity of his plans. The commission has little money of its own. Although its budget should be better spent — it remains ludicrous to devote 40% of it to farm subsidies — it adds up to less than 1% of the EU’s total GDP. His proposed European Fund for Strategic Investments, the vehicle that aims to lure in private capital, and the expansion of the EIB may both be worthwhile ideas. Yet passing the necessary laws, finding the right projects and then raising the finance will take months or, more likely, years. For Mr Juncker to present this package as the answer to today’s stagnating economy is at best disingenuous, at worst dishonest. It may also be dangerous, because it will offer cover for governments to keep up their fiscal retrenchment at a time when they should be doing the opposite. 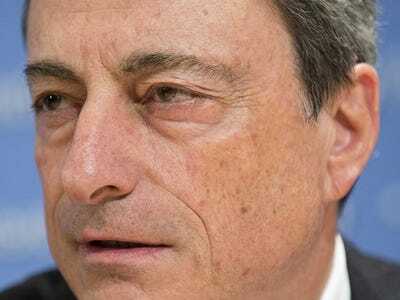 As the ECB president, Mario Draghi, has repeatedly argued in recent months, the sickly euro-zone economy calls for decisive action on three fronts at once: a looser monetary policy, faster and deeper structural reforms by national governments, and a more supportive fiscal policy. On the first the ECB is, albeit too slowly and cautiously, embarking on a form of quantitative easing akin to that practised by other central banks. On the second, even France and Italy are, belatedly and somewhat reluctantly, following the euro zone’s periphery in making structural reforms that should, eventually, boost growth. But on the third, little is being done. REUTERS/Joshua RobertsEuropean Central Bank Governor Mario Draghi speaks at a news conference during the World Bank/IMF annual meetings in Washington October 11, 2014. Speaking in Washington last month, Mr Draghi declared that European governments with fiscal space should use it. When he added pointedly “you decide to which country this sentence applies” he clearly meant Germany. In the present climate of near-recession, sticking to its balanced-budget target for 2015 is foolish. Germans often respond by invoking worries about “moral hazard”: the fear that, if they were to relax their fiscal stance, countries like France and Italy would fail to push through much-needed but politically challenging structural reforms. Yet those reforms are much harder to make in the absence of growth. In any case Germany itself is now on the edge of recession. If growth in the euro zone does not revive soon, and even worse if deflation were to set in, the single currency would be in peril. Were it to fail, Germany would suffer grievously.